How am I going to restrain myself with all the beautiful patisseries in Paris? I'm going to be un petit cochon! Haha! 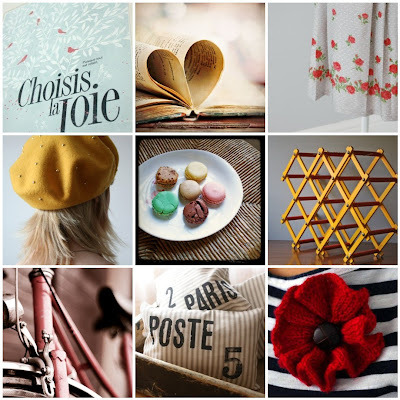 love these picks and lovely blog! You are so sweet! Thank you so much for including my beret in your French Picks. I hope you have a wonderful time in France. I have yet to make it there but it is on my list of places to go. You're welcome @EFernandez @315Thomas @EvaJuliet @CrystaL! Thanks for stopping by!